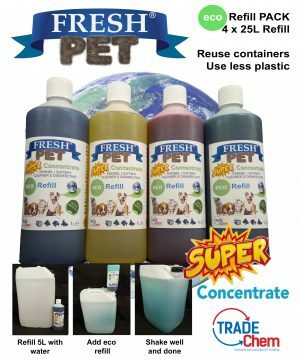 Fresh Pet Range. 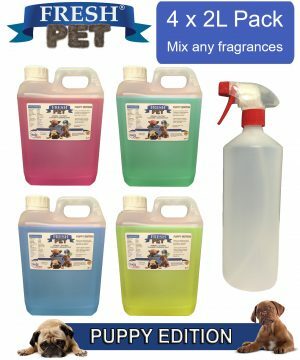 Pet friendly smells, disinfectants and cleaning. 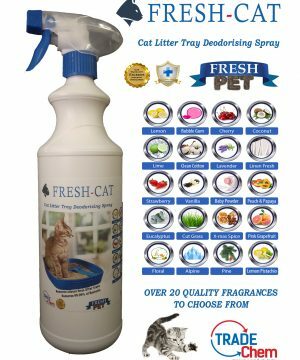 Category: Fresh Pet. 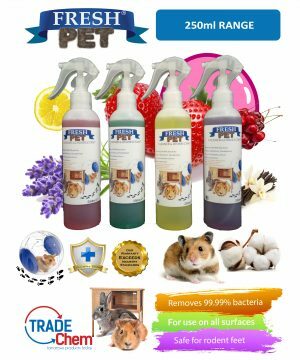 Pet Friendly Cleaning and Hygiene. 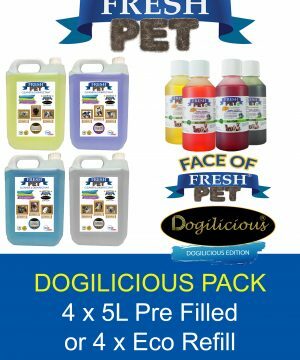 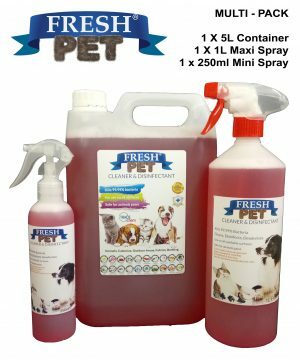 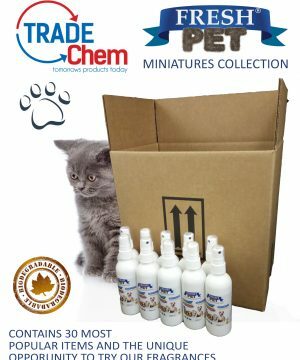 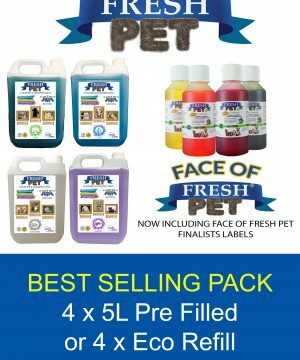 Our Fresh Pet Range covers many products. 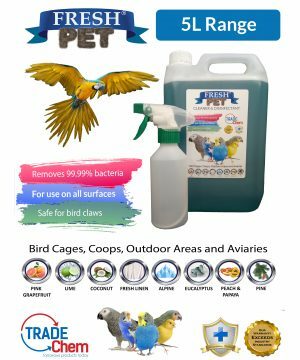 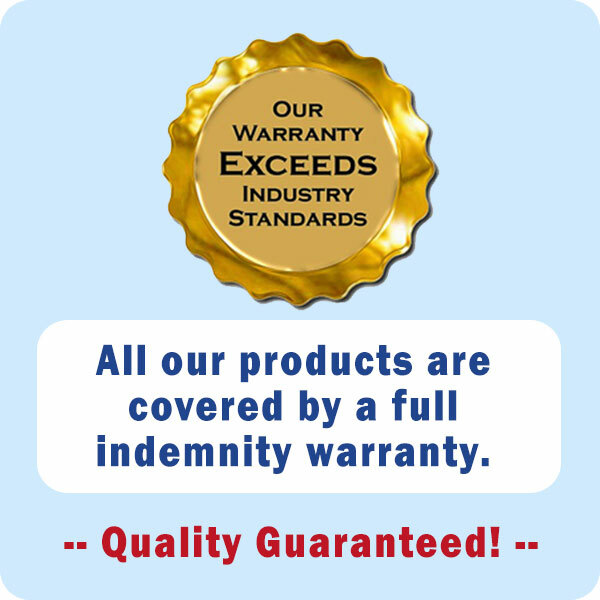 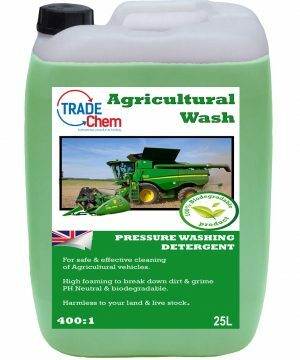 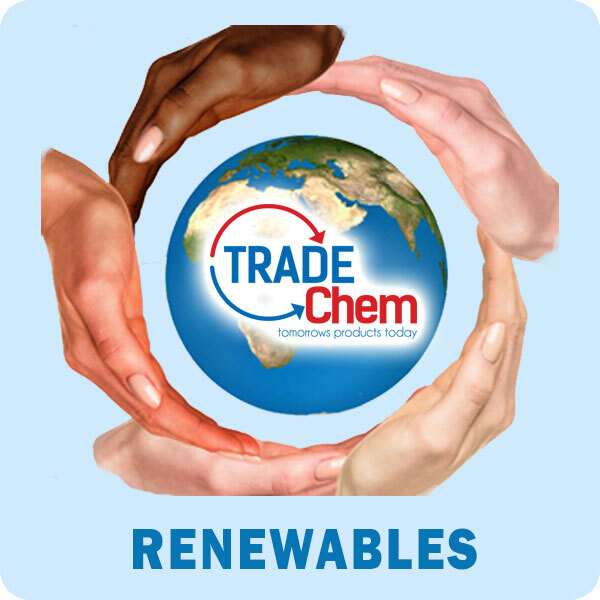 This includes powerful cleaning products of all types, a full disinfecting and deodorising range and there’s much more. 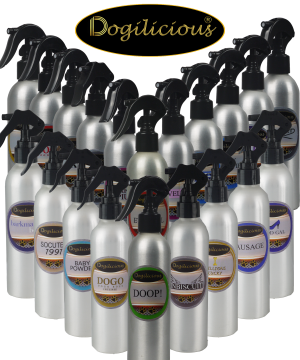 All products are completely safe for animals. 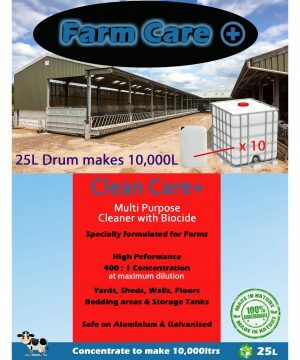 This effectively destroys a wide spectrum of bacteria, fungi and viruses at the source. 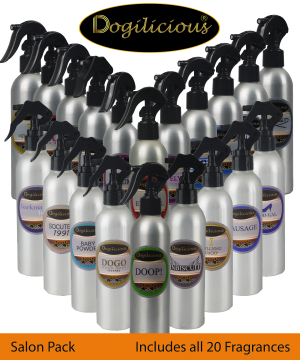 Ranges include our signature disinfectant available in over 30 fragrances. 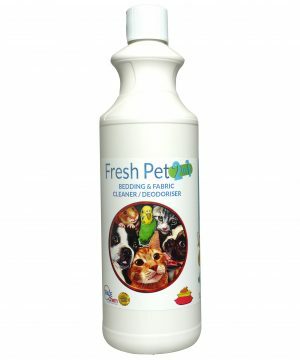 Including specific products for Small Pets, Birds and Farms. 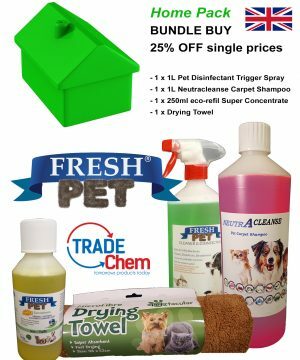 Fresh Pet products are safe to use on all water household surfaces such as washable surfaces, floors and walls. 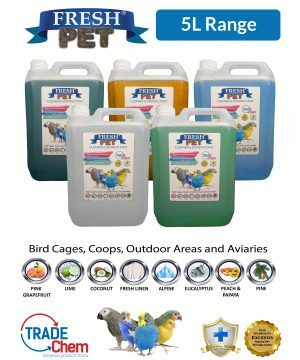 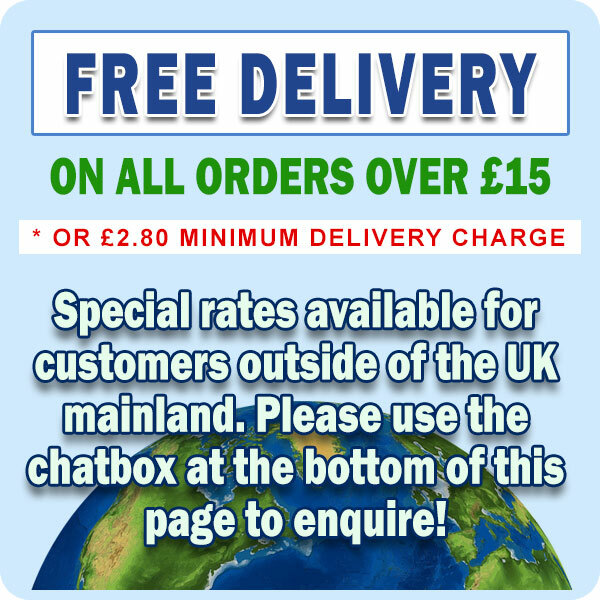 Also suitable for cages, feeding bowls, bedding, toys, runs, yards, carpets, toilets and drains.